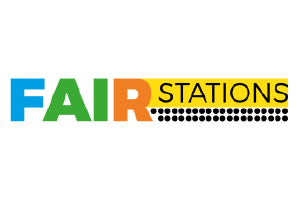 The aim of the FAIR Stations project is to design an integrated station and door access system optimised for smooth passenger flow, and stations with enhanced security for improved safety and customer satisfaction. It will involve development of a flexible fully automatic entry for new and retro-fit vehicles access system independent of the different infrastructure situation at the platform (such as the platform height, or PTI gap), in the form of a new technical development and innovative solution, which is not available on the market in this form. The following figure depicts the FAIR Stations concept. 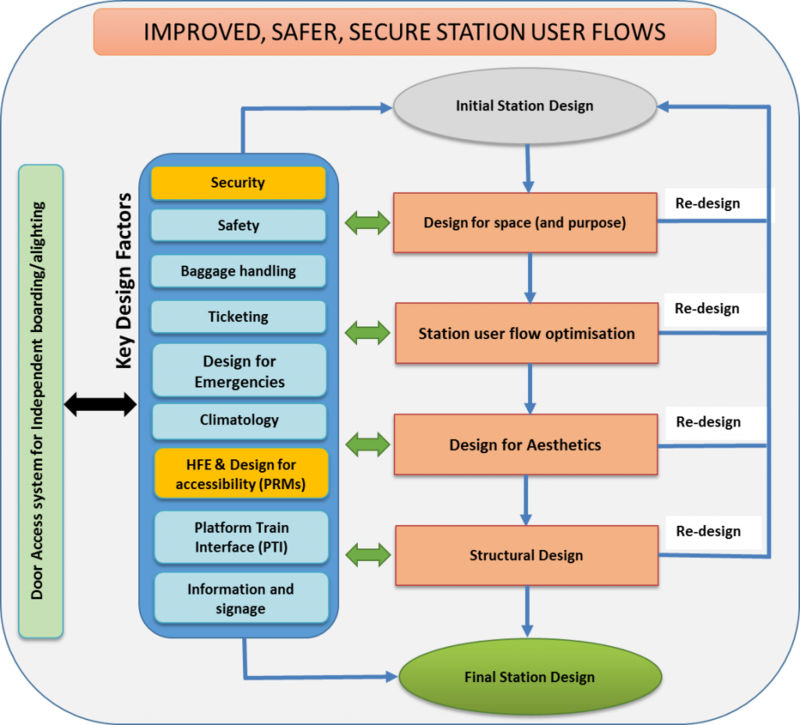 The overall aim of the project is to design future high-capacity rail stations that improve station users flows, yet provide safety and security. The starting point of the design is the typical nominal design of a high-capacity inter-modal and multi-functional railway station. Intermediate steps include design for space (purpose); station user flow optimisation; design for aesthetics; and structural design. Although a linear approach is applied from initial design down to the final design, the process has complex inputs influenced by Key Design Factors (KDFs) through an iterative process. The concept is completed by adding the design of the door access system to ensure independent boarding/alighting.